For years, Adobe have been the number one company for building creative design software. And for good reason – the design software suite from Adobe is simply the best. I don’t think I’ve ever come across a designer that would genuinely refute this assertion. Each of Adobe’s flagship programs – Photoshop, Illustrator and InDesign – are extremely powerful tools in their own respective rights. Photograph manipulation is practically infinite with Photoshop. Graphic designs are implausibly good with Illustrator. And what you can’t put together in an InDesign document simply can’t be put together at all (which is nothing, by the way – the possibilities are endless). However, it’s certainly true that there is quite a high skill/knowledge barrier to entry for most of Adobe’s output – and in the past, when Adobe exclusively released boxed and licensed software (i.e. the famous Creative Suites and their brethren), the price barrier was pretty high, too. InDesign, Photoshop, Illustrator – these are all professional tools that highly trained graphic designers use to create all the wonderful things that they do. Each program is massive, complex, and not particularly user-friendly, especially for the novice. But that doesn’t mean that we can’t all learn how to use these programs, and indeed, over time, master their functions just as well as your most expensive designer that you might hire in to create the marketing material for your business. 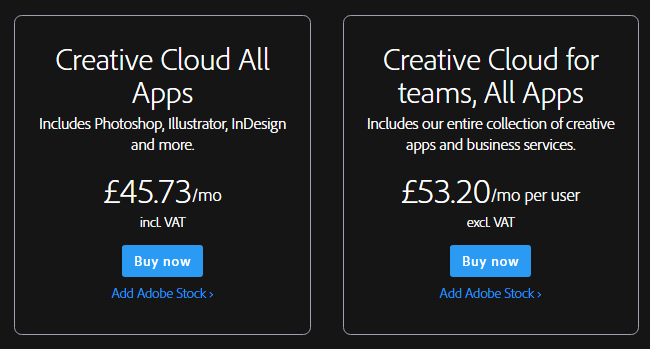 Indeed, here at Creative Studios, we know how valuable Adobe skills are to SMEs – especially now that Adobe has replaced its old pricing and delivery model for a SaaS (Software as a Service), monthly subscription one. 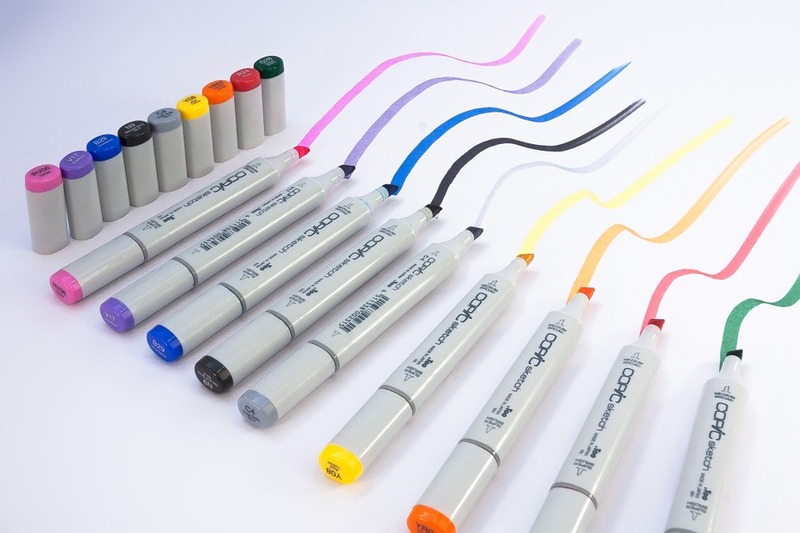 A company that can produce its own marketing materials to a high standard using Adobe Creative Cloud can save itself thousands in the long run – all they often need is a good training course to get them started, and from their can teach themselves with experience and on-going intermittent support over time. This is of course why we exist, and we encourage you to check out the training courses and online training courses with lifetime support that we offer here at Creative Studios. We know the value that our training courses bring to our clients because they tell us. And we want you to benefit in the same way, too. So let’s take a look at a few more reasons why Adobe Creative Cloud is the ultimate tool for business. In the past, the high prices placed on Adobe’s Creative Suites have been enough to make individuals have a few second thoughts before purchasing a software suite that they have no idea whether they will be able to use. But the new Creative Cloud model has made the suite a lot more accessible. Rather than having to find the best part of a grand and a half to begin your design journey with Adobe, now you can get going with InDesign, Photoshop and Illustrator for just £45.73 a month, and cancel at your whim – making it much less of a commitment indeed. Further pricing and package plans can be found here. In days gone by, every time you wanted to update your software package to the latest version, you had to fork out for the newest one again. But the advent of the cloud has left all that nonsense behind. When subscribing to Adobe Creative Cloud, you will always be using the very latest version of whichever tool you happen to be working with. Adobe is constantly making changes and improvements to its products. Bug fixes, security patches, new features and tools – these are all being rolled out to users as and when they are created, meaning that there’s no waiting around for the next boxed release, and you will never be charged any extra for accessing the newest versions of the programs. Adobe Creative Cloud also has the added advantage of utilising cloud technology. All the files that you create using Adobe CC are stored externally, which means that they won’t be clogging up space on your hard drive, and of course they will be a lot safer too. In addition, since your work is all stored in the cloud, it can be accessed from any device, anywhere, at any time. If you get a brainwave one evening, you can start your design on your laptop at home before bed. Then, you can make a few tweaks to it on your smartphone during your commute in the morning, before making some serious improvements on your desktop at work. Indeed, if you go for the All Apps package, then you will be able to use the whole collection of more than 20 creative desktop and mobile apps that will all be synced across all of your devices. Get started on your Adobe journey today by booking a training course with us here at Creative Studios. Adobe Creative Cloud is the ultimate tool for creating business marketing materials – it’s affordable, reliable, great value for money, and, with our help, absolutely accessible even for the novice. Book your course with us today.